This great client came to us back in the day of the really cool webdesign of Flash. Custom layout of the truck and lights turning on and off, all the bells and whistles of the day. 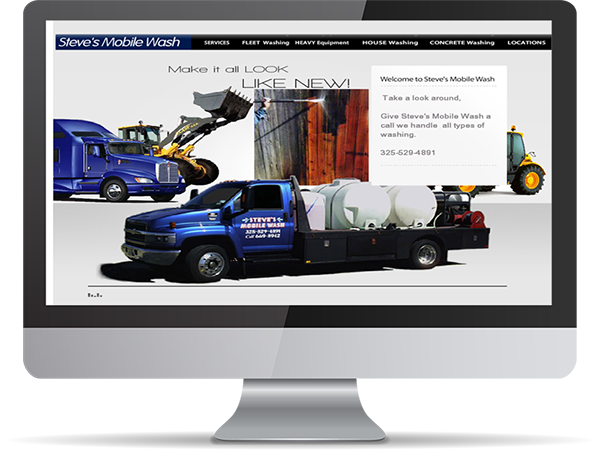 We are not too sure where Steve’s Mobil Wash went too, but we have a copy if anyone wants to see it, although being a Flash website, you would have to come to the office to see it on a Desktop Computer; Wow talk about legacy. Custom artwork was created to facilitate the site to look the way the client wanted it.